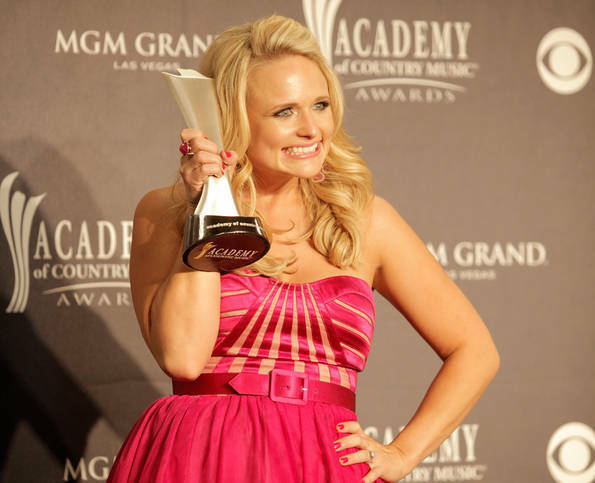 Miranda Lambert and Taylor Swift are big winners of the Academy of Country Music Awards 2011. 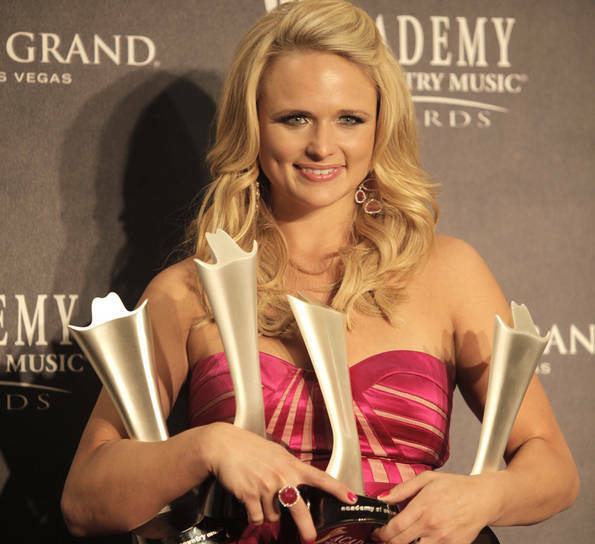 Miranda took home four awards—the most of the night—and Taylor got what she’d been coveting for years, Entertainer of the Year. As expected, the singers got all tressed up for the occasion. At first glance they looked very much alike when holding their prizes. But then you notice the differences: long and longer, blond and blonder, curled and curlier, bangs on and off the face. Mira’s do is easier to recreate: simply blow dry with a big round brush. For more curl do a quick roller set or use a curling iron with a big barrel. Tay’s glamour waves can take up to an hour to do at home. You almost have to use a three-barrel waving iron and work small sections at a time. For special occasions, you might want to get the look at a salon for time-savings and professional quality. Earlier in the evening, Miranda wore another do to walk the Red Carpet. She pulled her hair back and left long side bangs down to sweep to one side. Another view of the top Entertainer shows how the waves are just as pretty from the side. This is a good reminder for us to think about how our hair looks all the way around—from side to side including the back. In this lighting the haircolor variations of platinum and gold are more noticeable. Who knew long blond curls could look so different, yet be so alike? In the end, these blondes had more fun showing off their trophies than worrying about their hair. What good is a pretty hairstyle without a happy face? Our moms used to say we were prettier when we smiled. Maybe they’re onto something! This entry was posted in Celebs, Country Music star hairstyles, Music, star hairstyles, TV and tagged Academy of Country Music awards, ACM Awards 2011, gold blond, Miranda Lambert's bubbly personality, Miranda Lambert's hair, platinum blond, Taylor Swift's hair, Taylor Swift's wavy curls, updos. Bookmark the permalink.